World imbalances: the challenge of the Church I.O.R., is something going to change? «Do not use your freedom as an opportunity for the flesh, but through love be servants of one another. For the whole law is fulfilled in one word: ‘You shall love your neighbour as yourself’. But if you bite and devour one another, take heed that you are not consumed by one another. » Benedict XVI quoted this paragraph from Galatians 5:13-15 in his letter to the bishops of Catholic Church concerning the remission of the excommunication of the four bishops consecrated by Archbishop Lefevbre. Among these bishops, there was Richard Williamson. The Pope complained that the Williamson case drowned out the remission of the excommunication and that his decision was not intended to welcome-back the lefevbrsts in the Catholic Church, but it was intended as a thaw in the attitude of the Catholic Church toward the lefevbrist. His aim was to make the Church Catholic. And Catholic means “universal”. It is not a case that the title of the Papal Instruction on the application of the Apostolic Letter Summorum Pontificorum is Universae Ecclesiae, i.e. «to the universal Church». The instruction was object of contrasting comments. Traditionalists underlined that the Pope wanted to oblige the bishops – the ones who were reluctant about the celebration of the Tridentine Missal – to let the Old Rite be celebrated with no opposition. Progressives remarked, on the other hand, that there is a sort of «fidelity requirement» in the instruction, since some proponents of the so-called Tridentine Mass have gone considerably farther by refusing their obedience to disciplinary and doctrinal decisions of the Holy See and also by declaring the ordinary form of the Roman Rite to be invalid—that is, incapable of being used to confect the Eucharist. So – and this would be the «fidelity requirement» – the faithful who ask for the celebration of the forma extraordinaria must not in any way support or belong to groups which show themselves to be against the validity or legitimacy of the Holy Mass or the Sacraments celebrated in the forma ordinaria or against the Roman Pontiff as Supreme Pastor of the Universal Church. The liturgical contest cannot put in discussion the Second Vatican Council. It is a liturgical choice, and that’s it. Anyway, even a liturgical choice must be done in the most proper way. That’s why any priest is judged qualified to celebrate the extraordinary form with a congregation if he can properly understand and verbalize the Latin text, if he presents himself voluntarily to do so, and if he has celebrated according to the Extraordinary Form in the past. In fact, the usual contrast between left (progressives) and right wing (traditionalists) of the Church has no reason to be. Ratzinger is more «center-oriented». He knows that everything in the history is both discontinuity and continuity, and that if one does not understand it cannot have the right perspective to analyze things. He is conscious that a re-balance between traditional and progressives positions is needed. The whole Pontificate of Benedict XVI has been dedicated to this re-balancing. The remission of the excommunication to the Bishops of the Society of Saint Pius V was just a first step to make the Church as more universal as possible. Afterward, there was the apostolic constitution Anglicanorum Coetibus, who provided for personal ordinariates for Anglicans entering into full communion with the Catholic Church. And subsequently, the Pope renewed the ecumenical impetus, in order to be always closer to the Orthodox Church of Russia. The Patriarch of Moscow Kirill is a long-time friend of Joseph Ratzinger. No one would be surprised if in Zagreb – a neutral territory, where the Pope will be in visit the 4th and 5th of June – a delegate of the Russian Patriarchy would meet the Pope. In the backstage, we can find the “bite and devour” of some of the member of the Roman Curia. Traditionalist and progressive movements are often used and stirred up as an instrument by several parties of the Roma Curia. The Williamson case was exemplar. It was the communication inside the Church – more than the one outside the Church – that lacked and put the basis for the mistake. And this mistake had been rebounded from Episcopal conference to Episcopal conference, while several bishops criticized the Papal decision, not understanding that the remission of the excommunication was something different from a warm “welcome back” to the lefevbrist. In fact, the negotiations between Vatican and Society of Saint Pius V are now stalemate, since the SSPV representatives still do not want to accept the Second Vatican Council. The key point is not liturgy, but religious freedom. Richard Williamson was a strong contester of religious freedom. Scrolling his web site, there more other controversial things. Williamson recommends the racialist South African Aida Parker Newsletter in his September, 1 2002 newsletter. His concern for the «white race» is discussed in his November 2005 newsletter . The author of the Unabomber’s Manifesto – Williamson affrimerd – might have since become a Saint without its contents being changed by one word, Williamson wrote in his June 6, 1996 newsletter. All of this contents had been removed from the SSPV newsletter, but still one can find some good summary by surfing the web. Many people wrote about Bishop Williamson ideas long before the revocation of the excommuncations. The 19th of January of 2009, the German Weekly Der Spiegel published a detailed profile of Bishop Williamson. 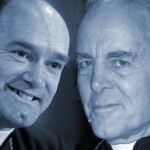 Some month before, Bishop Williamson gave an interview to the Swedish television. The interview was recorded by a Swedish television station on November 1, 2008, but it was broadcast on January 21, 2009 – the same day on which, at the Vatican, the decree was signed revoking the excommunication of Williamson, and of the three other Lefebvrist bishops. Not so many people in Italy had been aware of what Der Spiegel wrote. But the Curia counter-information was in action. Two Italian dailies – that could count on good sources within the Vatican Secretariat of State – second-guessed the remission of the excommunication in two articles published the 21st and 22nd of January. Many of the progressive wing of the Church began protesting, while the press agencies spreaded Williamson statements. Vatican Secretariat of State was forced to speed up the publication of the document. The document is announced the 24th of January, in a hidden way: there is no press conference to present and explain the revocation, cardinal Walter Kasper (at the time president of the Pontifical Council for the Christian Unity) is not even informed. The traditionalists exult, the progressive wing of the Church multiply the protests. 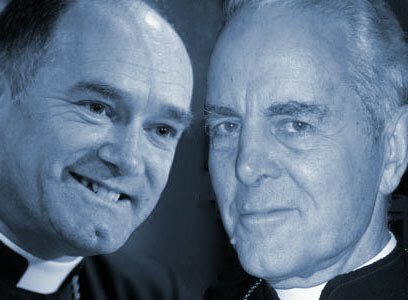 Time has passed by, but there is still a “hot” question: who in the Curia made pressure to let the Williamson case explode? Who did not take care of the consequences of the news of the remission of the excommunication? Why – for a certain part of the Vatican World – there was the need to publish the revocation of the excommunication as soon as possible? And what was the role of the media, and Italian media in a peculiar way, in speeding up the announcement of the remission? A book had been wrote about the attacks against the Pope. But the authors are the same ones who made the “scoop” of the remission of the excommunication, and at that time did not write anything about Williamson. Is it only carelessness? Benedict XVI told that the enemy of the Church are inside of the Church. They are ready to bite and devour. Actually, in some clericalism one can find the seed of anticlericalism.